Redactions ... symbolize the ongoing tug-of-war between discretion and truth, between a government that knows what we don’t need to know and a citizenry that desires the whole story. That desire is inflamed after two years of theorizing about the Mueller report. “I think it’s going to be more disappointing than not, and frustrating to many,” says D.C. attorney Mark S. Zaid, who handles cases involving national security and the Freedom of Information Act (FOIA). Zaid once sued the government for records related to the death of Princess Diana and the FBI surrendered reams of material. Zaid was thrilled, until he opened the boxes. Two thousand pages of redactions. Every page, blacked out. In 2003 the Department of Justice released a 186-page report on its hiring practices, and half of it was blacked out. American leaders brag about transparency but their agencies historically have cultivated a “culture of caution.” By the turn of last century at least 1.5 billion documents over 25 years old were kept from the public because of national security concerns. Classification cost the federal government $18.49 billion in fiscal year 2017 alone. Redactions can be cosmetic, or historic [like] the 14 blank pages of a 2002 Pentagon assessment of Iraq’s nuclear-weapons program. [Yet] when 19,045 documents related to the John F. Kennedy assassination were released last year, Nate Jones of the National Security Archive was struck by the banality of the information the government had insisted on keeping secret for years. Note: Why was so much material around the death of Princess Diana redacted? Explore some of the strangeness around the killing of Princess Diana in this news article. For more along these lines, see concise summaries of deeply revealing news articles on secrecy from reliable major media sources. The Music Memory Box was created as a means of using photographs, objects, and music to help people with dementia to remember their past. The box is programmed to play certain songs that are associated with the various possessions and photos. When one of the objects is placed in the center of the box, a sensor triggers box’s speakers so that it plays the song that corresponds with the object. 28-year-old designer Chloe Meineck says that her great-grandmother’s experience with dementia served as the inspiration for the box. Whenever Meineck when to visit the senior at her nursing home, the woman always failed to recognize her. Upon hearing certain songs, however, Meineck’s great-grandmother would suddenly begin to recall heartfelt stories from her past. 74-year-old Monica Garrity [said] she and her husband Steve, who has dementia, began using the box in 2017 as a means of helping him to remember events from their marriage – and they’ve been regularly using the box ever since. “We have been able to connect again, it is wonderful,” says Monica. “He doesn’t usually communicate with me but when the music plays, he hums along and even holds out his hand to grab mine. It takes us back to when we got married.” In addition to receiving dozens of awards for her design, Meineck recently held a Kickstarter campaign in order to fund the manufacturing of the first batch of Music Memory Boxes. Within two weeks, she was able to raise the necessary funds. Note: Don't miss a video of the Music Memory Box in action at the link above. 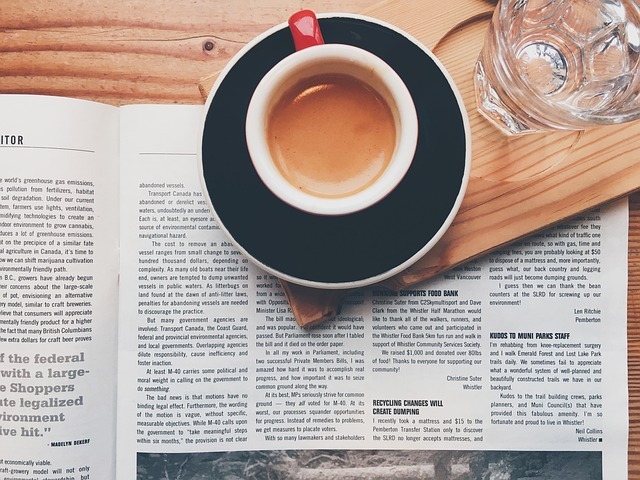 Explore a treasure trove of concise summaries of incredibly inspiring news articles which will inspire you to make a difference. American shoppers are reaching for healthier, more environmentally and animal-friendly meat products, with 39 percent saying “all-natural” is the most important claim when purchasing red meat. But there’s one problem: The U.S. Department of Agriculture says that when it comes to meat and poultry, the term “natural” means only that the product has no artificial ingredients and has been minimally processed. It doesn’t mean anything when it comes to antibiotics, hormones or preservatives. Companies such as Tyson Foods Inc., Pilgrim’s Pride Corp. and Hormel Foods Corp. have been snapping up smaller, outwardly progressive competitors. At the same time, however, some of the major meat companies have been offering their own products as “natural,” replete with labels featuring blue skies and green fields. On April 8, the Superior Court of the District of Columbia - a jurisdiction with stringent consumer protection laws - dismissed a lawsuit by the Animal Legal Defense Fund (ALDF) alleging Hormel was misleading consumers. The court held that as long as manufacturer labels are approved by the USDA, the advertising can use the “natural” claims. In statements disclosed in the filing, a company executive said the same pigs it uses to make its famous Spam brand meat product are also used in Natural Choice pork products. Those pigs are often given antibiotics and are rarely allowed outdoors. “It’s a massive attempt to manipulate and dupe the consumer,” said David Muraskin, a food project attorney. When the U.N.’s 2019 World Happiness Report came out last month, Finland ranked on top for the second year in a row. Small Finland — about 75% the size of California with just 5.5 million people — consistently trounces the United States and other developed nations on ratings of life satisfaction, health, safety, governance, community and social progress. The underlying reason Finns are faring so well is because we have a different mindset about success — one that’s based on equity and community. In the United States, happiness and success are perceived as individual pursuits, indeed, even competitive ones. In Finland, success is a team sport. While Finland is by no means struggling financially, its GDP per capita is lower than those of its neighboring Nordic countries, and much lower than that of the U.S. The difference is, in the words of Meik Wiking of the Happiness Research Institute in Denmark, “the Finns are good at converting wealth into well-being.” The more equal a society is, the happier its citizens are. Finland is ranked among the most equal of all the 36 OECD countries. This ... helps support overall high levels of trust. Finns trust one another and, perhaps more impressively, they trust their government. And although Finns pay some of the highest taxes worldwide, there is a transparency to the Finnish system that many other countries lack. Every year the government makes public the tax data of all its citizens and corporations on what has come to be called National Envy Day. Last May, an elderly man was admitted to the Brooklyn branch of Mount Sinai Hospital for abdominal surgery. A blood test revealed that he was infected with a newly discovered germ as deadly as it was mysterious. Doctors swiftly isolated him in the intensive care unit. The germ, a fungus called Candida auris, preys on people with weakened immune systems, and it is quietly spreading across the globe. Recently C. auris reached New York, New Jersey and Illinois, leading the federal Centers for Disease Control and Prevention to add it to a list of germs deemed “urgent threats.” C. auris is so tenacious, in part, because it is impervious to major antifungal medications, making it a new example of one of the world’s most intractable health threats: the rise of drug-resistant infections. For decades, public health experts have warned that the overuse of antibiotics was reducing the effectiveness of drugs that have lengthened life spans by curing bacterial infections once commonly fatal. But lately, there has been an explosion of resistant fungi as well. Yet as the problem grows, it is little understood by the public — in part because the very existence of resistant infections is often cloaked in secrecy. With bacteria and fungi alike, hospitals and local governments are reluctant to disclose outbreaks for fear of being seen as infection hubs. Even the C.D.C., under its agreement with states, is not allowed to make public the location or name of hospitals involved in outbreaks. Note: For more on this new disease, see this article. For more along these lines, see concise summaries of deeply revealing health news articles from reliable major media sources. Despite the essential role whistleblowers play in illuminating the truth and protecting the public interest, several myths persist about them. The overwhelming majority of employees who see problems want to blow the whistle internally first. Understanding this can - and should - encourage employers to respond appropriately when workers report problems. Similarly, employees who understand that they are in fact whistleblowers when they raise concerns inside the workplace will be better prepared to navigate their rights, risks and options. While many employees who witness wrongdoing in the workplace stay silent, fearing reprisal or futility, those who do raise concerns ... demonstrate faith that their employers are committed to compliance and that they can make a difference. Whistleblowers who report externally typically do so because the problem is significant and their employers have failed to address it or engaged in reprisal (or both). Snowden’s revelations about the NSA’s unconstitutional mass collection of telephone metadata, and Reality Winner’s disclosures about Russian efforts to hack state elections as the Trump campaign was denying Russian involvement, clearly meet this standard of significance. While reporters may use the term “leak” to describe information received from anonymous insiders, the failure to distinguish between leaking and anonymous whistleblowing risks undermining the legitimacy and importance of disclosures that clearly advance the public’s interest. In 1986, the Soviet minister of hydrometeorology, Yuri Izrael, had a regrettable decision to make. It was his job to track radioactivity blowing from the smoking Chernobyl reactor in the hours after the 26 April explosion and deal with it. If the slow-moving mass of radioactive clouds reached Moscow, where a spring storm front was piling up, millions could be harmed. Soviet air force pilots ... made the easy one-hour flight to Chernobyl, where the reactor burned. When they caught up with a cloud, they shot jets of silver iodide into it. Wherever pilots shot silver iodide, rain fell, along with a toxic brew of a dozen radioactive elements. No one told the Belarusians that the southern half of the republic had been sacrificed to protect Russian cities. The Chernobyl explosions issued 45m curies of radioactive iodine into the atmosphere. Emissions from Soviet and US bomb tests amounted to 20bn curies of radioactive iodine, 500 times more. When the Chernobyl accident occurred, experts in radiation medicine called for a long-term epidemiological study on Chernobyl-exposed people. That study never occurred. Fortunately, Chernobyl health records are now available to the public. They show that people living in the radioactive traces fell ill from cancers, respiratory illness, anaemia, auto-immune disorders, birth defects, and fertility problems two to three times more frequently in the years after the accident than before. The Democrat-controlled House Budget Committee voted 19-17 Wednesday to move a bill sponsored by Chairman John Yarmuth (D-KY) out of committee. Called the “Investing for the People Act of 2019,” it’s essentially the Democrats’ answer to Donald Trump’s radical budget proposal from early March. The Trump budget ... seeks a whopping 9% cut overall in non-defense or NDD spending ... while seeking a 5% increase in defense spending. Trump wants to reward the Pentagon for flunking its first-ever audit last year by giving it a fat bump - from a record $716 billion to new record of $750 billion. Meanwhile, Trump hopes to slash non-defense spending from last year’s $597 billion figure to $543 billion this year. Now, in the Yarmuth budget bill, $733 billion is the Democrats’ opening offer to the Pentagon. Trump’s 2020 budget proposal made a joke of the 2011 Budget Control Act, which essentially forced Congress to raise and lower defense and non-defense spending together through a series of caps. Roughly speaking, defense is supposed to be capped at around 53-54% of discretionary spending. The Pentagon has always been able to get around even those generous caps ... with Overseas Contingency Operations or “OCO” spending. Often called “war funding,” OCO budgets technically don’t count as defense spending, even though they are. To make his defense-hike/non-defense cut strategy work under the Budget Control Act, Trump this year had to propose a massive hike in OCO funding, going from $69 billion last year to $165 billion this year. Note: Read summaries of several major media articles showing the Pentagon's blatant lies and disregard for accounting. For more along these lines, see concise summaries of deeply revealing news articles on corruption in government and in the military. Congress just told Trump to get US troops out of Yemen. Next, Afghanistan? Congress made history this week by passing a resolution that cuts off U.S. support for Saudi-led forces in the civil war in Yemen. This is the first time since Congress originally passed the War Powers Resolution in 1973 that we have used it to call on the president to withdraw from an undeclared war. The passage of this resolution has implications far beyond Yemen and opens a much broader and extremely important debate about how and when the United States uses our military, and who must authorize that use. According to a recent study by the Costs of War Project at Brown University, the War on Terror will have cost American taxpayers almost $5 trillion through Fiscal Year 2019. When taking in to account future health care obligations for veterans injured in post-9/11 wars, the bill comes closer to $6 trillion. Even after this enormous expense, the world has more militants, not fewer. A November 2018 report from the Center for Strategic and International Studies found that the number of militants has continued to grow. “Despite nearly two decades of U.S.-led counterterrorism operations,” the report said, “there are nearly four times as many Sunni Islamic militants today as there were on September 11, 2001.” The time is long overdue for Congress to reassert its constitutional responsibility over war making. We need a serious national debate over when and where we put our military in harm’s way. Congress’s historic vote on Yemen this week is an important beginning in that process, now we must continue forward. Note: The above was written by senators Bernie Sanders and Mike Lee. For more along these lines, see concise summaries of deeply revealing news articles on corruption in government and in the military. Each year, state lawmakers across the U.S. introduce thousands of bills dreamed up and written by corporations, industry groups and think tanks. Disguised as the work of lawmakers, these so-called “model” bills get copied in one state Capitol after another, quietly advancing the agenda of the people who write them. A two-year investigation by USA TODAY, The Arizona Republic and the Center for Public Integrity reveals for the first time the extent to which special interests have infiltrated state legislatures using model legislation. USA TODAY and the Republic found at least 10,000 bills almost entirely copied from model legislation were introduced nationwide in the past eight years, and more than 2,100 of those bills were signed into law. In a separate analysis, the Center for Public Integrity identified tens of thousands of bills with identical phrases, then traced the origins of that language. Model bills passed into law have ... limited access to abortion and restricted the rights of protesters. In all, these copycat bills amount to the nation’s largest, unreported special-interest campaign, driving agendas in every statehouse and touching nearly every area of public policy. USA TODAY found more than 4,000 bills benefiting industry were introduced nationwide during the eight years it reviewed. More than 80 of those bills limit the public's ability to sue corporations, including limiting class-action lawsuits, a plaintiff's ability to offer expert testimony, and cap punitive damages for corporate wrongdoing. Toyota Motor Corp plans to offer royalty-free access to its hybrid-vehicle technology patents as early as this year, the Nikkei Asian Review reported. Toyota, which holds roughly 20,000 active patents in the field, is expected to make accessible most of the latest ones covering motors, power converters and batteries. Since pioneering the Prius, the world’s first mass-produced hybrid car, in 1997, Toyota has sold more than 12 million cars featuring the technology, which twins a conventional gasoline engine and electric motor, saving fuel by capturing energy during coasting and breaking and using it to power the motor. Hybrid vehicles account for around 3 percent of all vehicles sold globally, eclipsing the roughly 1 percent share of all-battery EVs. Toyota vehicles account for more than 80 percent of the hybrid vehicle market. Global automakers have pledged to electrify their vehicle offerings in the coming years amid tightening global emissions regulations, but many acknowledge that shifting to all-battery EVs will take time due to the high cost of the required batteries. Toyota has long held to its belief that its hybrids, whose fuel efficiency is roughly double that of gasoline cars, are a cost-effective alternative to all-battery EVs, due to their lower cost, lack of need for charging infrastructure, and because they operate more or less like gasoline cars. One-third of the world's installed electricity generation capacity is from renewable sources, according to the latest industry statistics. The data compiled by the International Renewable Energy Agency (IRENA) shows that two-thirds of the power capacity added around the world in 2018 was from renewables. Wind and solar accounted for 84% of that total. 2018 was characterized by a spate of solar and wind pricing breakthroughs. Falling interest rates for investors, ongoing technology improvements and regulatory frameworks that encourage competition among would-be developers have all played a part. The geographical distribution of the new plants includes developing and developed economies but it is the former leading the way. The three fastest growing regions were Oceania, Asia and Africa. Asia also became the first terrawatt region, just, with IRENA’s figures putting installed renewable capacity at 1,024GW. More than two-thirds of that is in China. Offshore wind capacity has doubled since 2015 but only represented around 4.4GW of the 171GW of renewable power plant deployed in 2018. The concentration of offshore wind remains firmly in Europe (~80%). Solar was the runaway leader of the pack adding 94GW in 2018 to 49GW of wind, on- and offshore. Half of the world’s total installed capacity is currently hydropower but China was the only nation to make substantial hydro additions last year. Bioenergy [added] 6GW.